With so many correct contest entries to choose from, the winner was finally chosen by randomly drawing one of the correct entries out of our ceramic pumpkin. 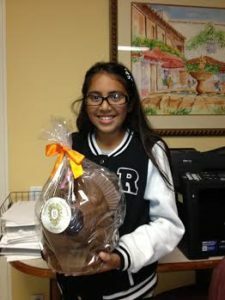 The winner of this year’s Giant Chocolate Turkey was Itzayana Ramirez. 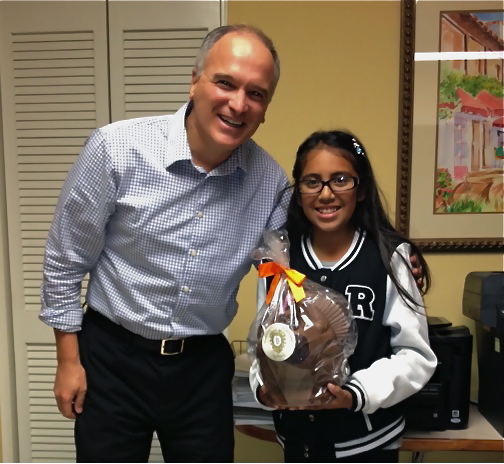 Itzayana is a 10 year old patient of Dr. Trigonis in her first phase of treatment (out of 2). Thanks again to all who entered the Giant Chocolate Turkey Giveaway! Stay tuned for more upcoming contests and more chances to win exciting prizes! Wishing you and yours a wonderful Holiday Season and a Prosperous New Year!